I’m not going to say that thing about this year flying by. I’m not. You can’t make me. On Monday we celebrated Memorial Day and I pondered some thoughts about all that. On Wednesday I shared my tips for visiting Mt. St. Helens National Volcanic Monument in Washington state. My kids have been very into volcanoes since they learned about Mount Vesuvius and Pompeii. Pompeii is on our Travel Bucket List now and I have no complaints about that. I’m just going to say it. This is the coolest machine I’ve seen in a long time. This picture is from the Netherlands. Workers feed the bricks into the machine and a conveyor belt and gravity does the rest. A picture wasn’t enough. I had to find you a video to watch…it’s so satisfying! 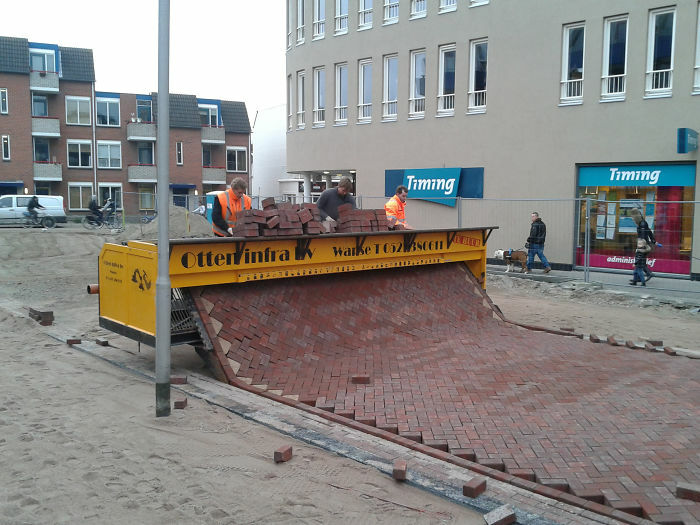 A pretty cool way to build a brick road, right? 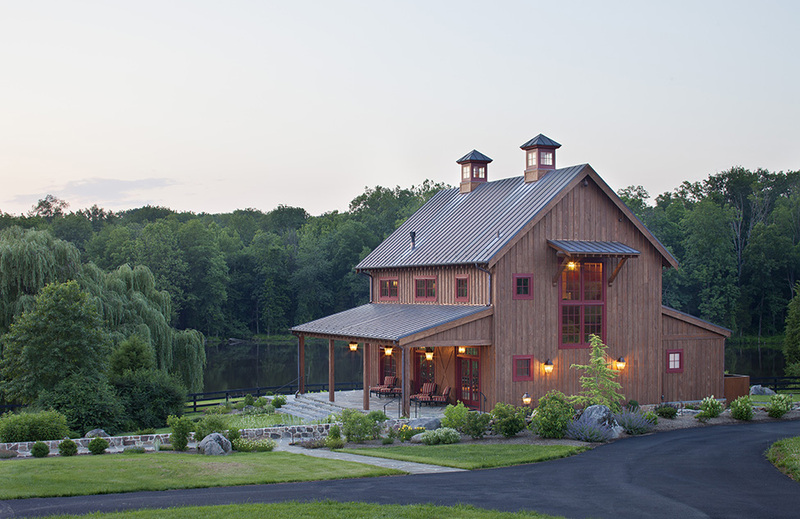 This is actually a clubhouse by Rill Architects, but I could totally live here. Do you think they’d notice? This might be what I’m missing in my life. 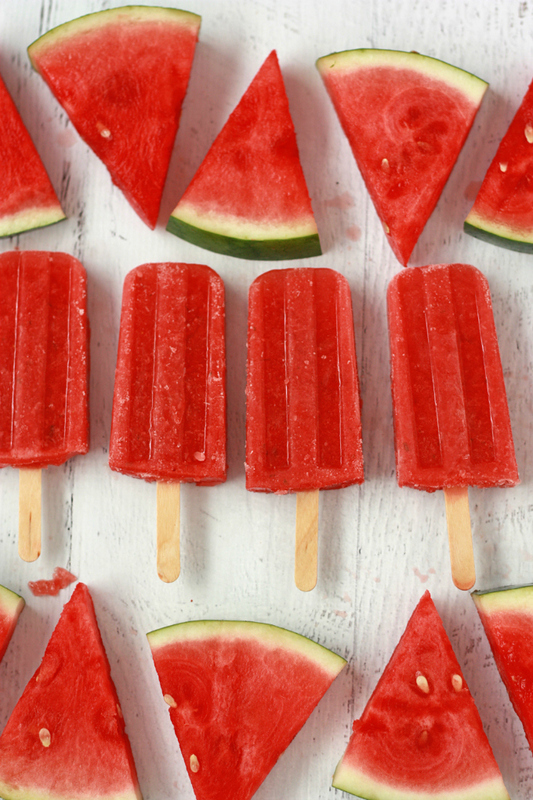 Strawberry Watermelon Popsicles by One Lovely Life. Emily has more popsicle recipes on her site that will make you drool! The popsicle mold she uses is available on Amazon for about 10 bucks. 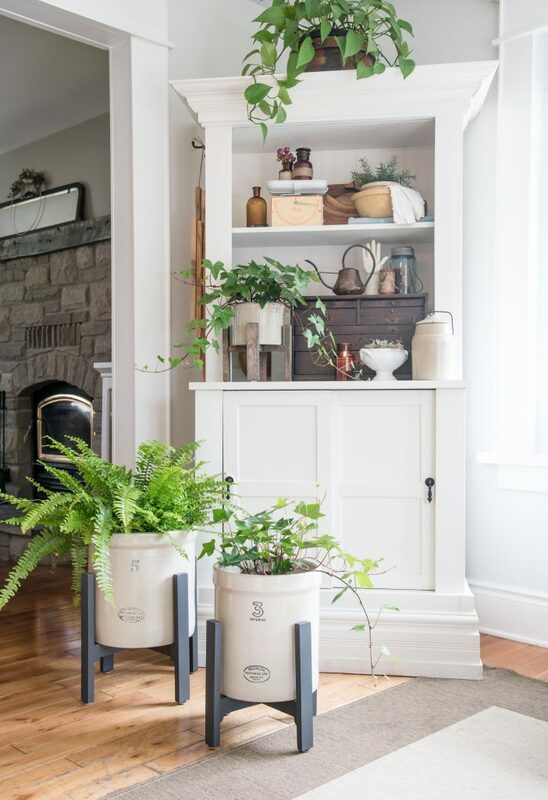 I’m not calling anyone out, but if you have drab folding chairs sitting in your closet, here’s some makeover inspiration for you from Heather at Whipperberry! I saw Monica from East Coast Creative and The Weekender publish this idea on Instagram. If you watch Live! With Kelly and Ryan or The Today Show you might recognize Monica from her DIY segments on those shows. See that floor? It’s just two different peel and stick tiles put together in a cool pattern. Good idea, right? If you fast forward to about the 17:20 mark on the below video, Monica will show you how she laid this flooring. I thought it was a clever, inexpensive way to makeover a space. I once used peel and stick flooring in a powder room and it held up great. Not sure how it does in high traffic areas, but it might be worth a try! Guys!!!! Why didn’t I think of this? I have ceramic crocks. I have a Handy Husband. We could DIY stands for our crocks. This is such a good idea by Laurie at Vin’yet Etc. that gives the crocks a modern twist. Has anyone spent time in a cottage with splatter painted floors? Was it awesome? Not awesome? One time I ACCIDENTALLY splatter painted my floor, but I’ve worked hard to banish that scene from my mind. 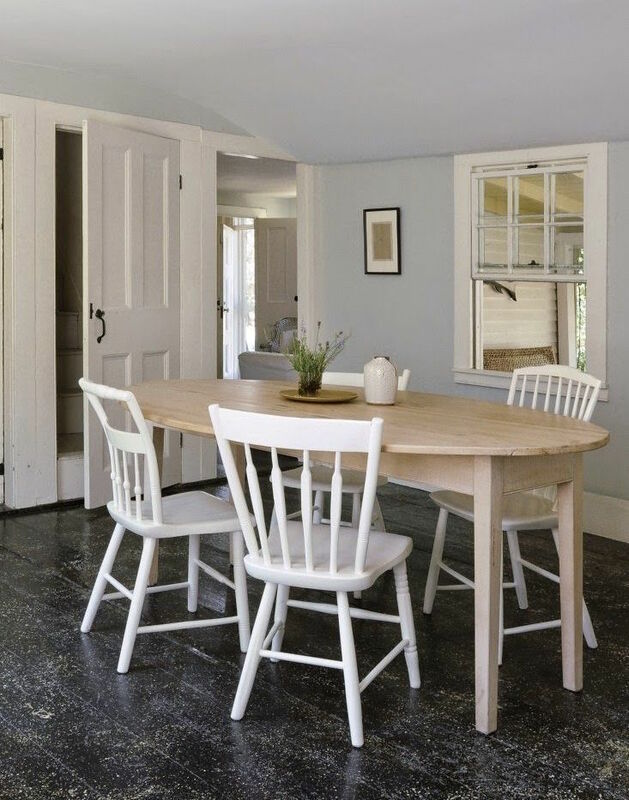 According to this Remodelista article on how to DIY splatter painted floors (there is a technique beyond accidentally knocking over a can of paint), it’s very common to see in New England cottages. Based on this picture, I can definitely see how it would hide dirt and sand. Well, this post FLEW by…not unlike that thing I’m not mentioning every time a new month rolls around. As always, thanks for being here. Thanks for encouraging me and following along with my adventures. You’re the BEST!!! Have a happy weekend! This has been a Happy List that I’ve really enjoyed. I could easily live in that club house. I wonder if the brick paving could be used on a patio. Just a thought. If you make some of those stands, let me know!